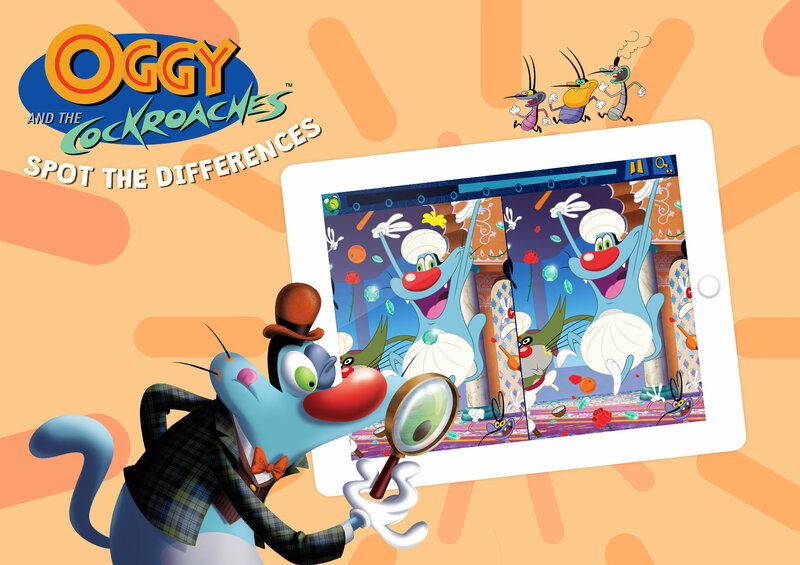 Put your powers of observation to the test as you compare Oggy’s world to find all the differences. It’s fast, it’s crazy and it’s hilarious… it’s OGGY AND THE COCKROACHES as seen on TV! Search for hidden objects in Oggy’s home or Oggy’s trips in Egypt or India! 5 game modes: time attack, fast, blind, unlimited and 2 players! Are you ready for this challenge? Download Oggy’s game of differences now!